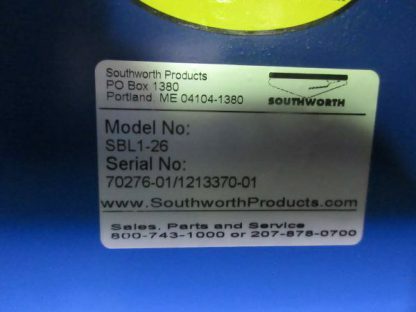 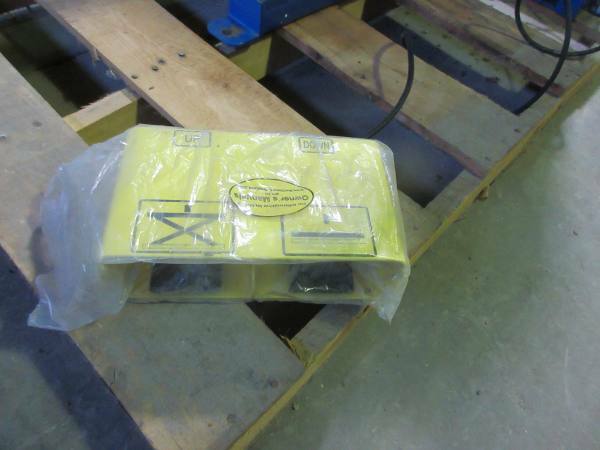 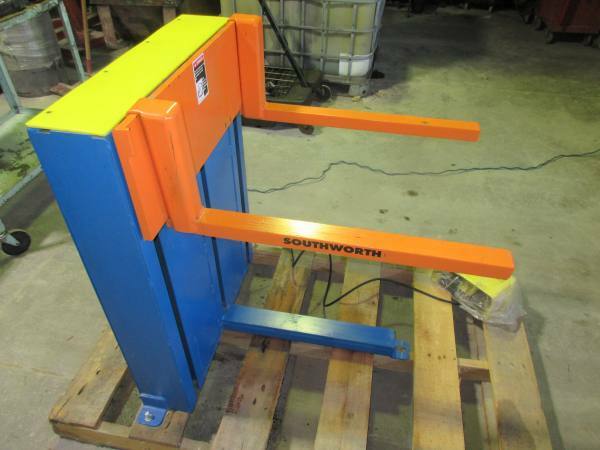 We have available this Unused Southworth Products SBL1000-26 Stack Box Positioner. 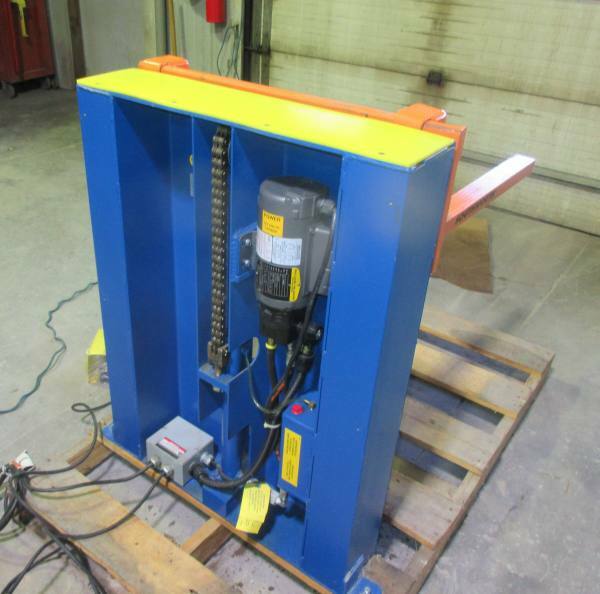 This unit does have some scuffs from being a floor model and that is why it is being sold as New Surplus. Unlike scissor lift tables; these tote lifters travel up and down on a vertical mast. 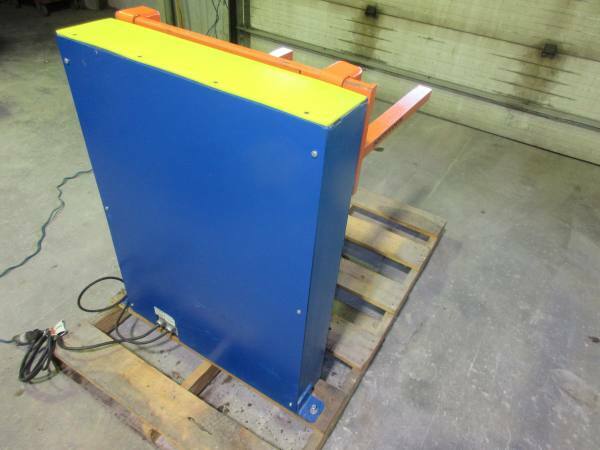 They are ideal for feeding and offloading materials from totes or junior containers. 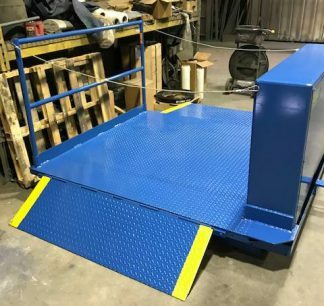 Dollies or hand carts used to transport stacks of containers can be rolled on and off the adjustable width forks or solid pan. 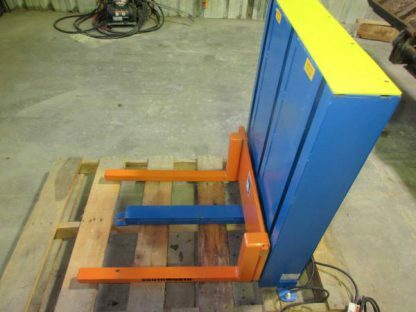 Items can then be raised and lowered to the most comfortable height for loading and unloading with a minimum of bending, reaching and stretching. 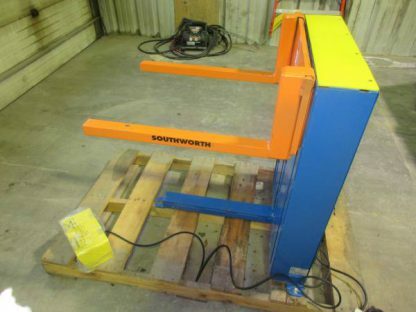 Because of the compact design the Stack Box tote lifter and positioner requires only slightly more floor space than the containers used with it. 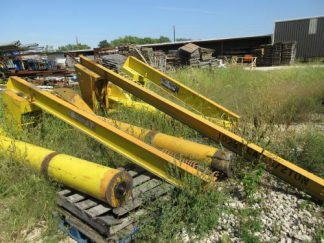 Forks are adjustable from 8-1/2″ to 27″, outside to outside. 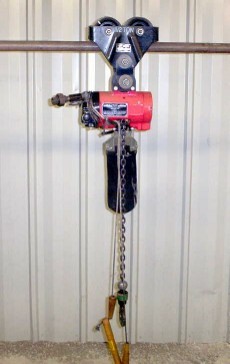 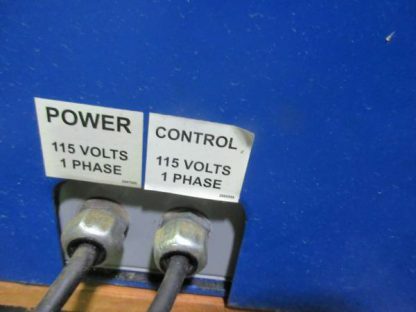 Foot switch control included.